The Pace XR440 or XR5-SE Data Logger may be used as multi-channel, portable pressure recorders for long or short term logging applications. 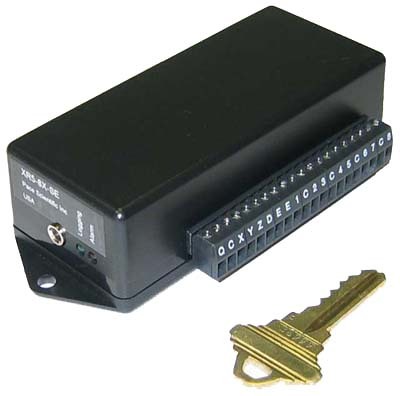 The XR5-SE Data Logger features a log-on-alarm mode which can fast-sample all connected pressure sensors, and record readings only when a pressure goes above or below a pre-set limit (set on one or more channels by the user). Battery life depends on the selected setup and the connected sensors. For example, with the XR5-SE Data Logger, if logging eight P1600 Pressure Sensors with the log interval set for 1 minute, estimated battery life is over 2 years. Battery life is similar for the XR440 with 4 Pressure Sensors. 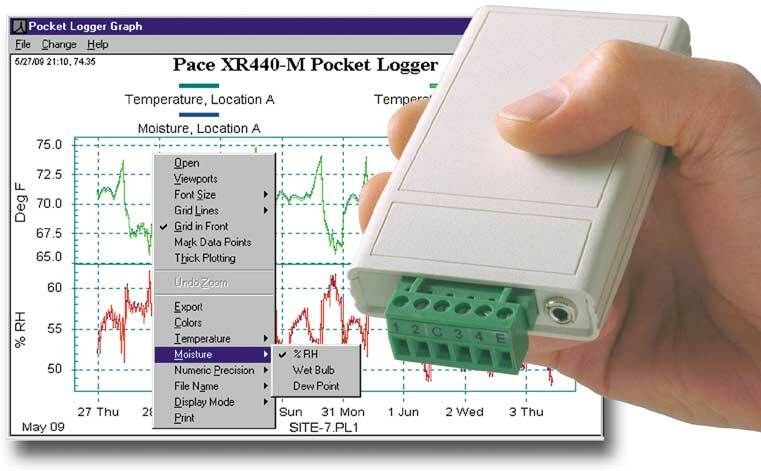 Along with pressure logging, either Pace Data Logger will connect to a variety of precision probes, including Temperature, Humidity, AC Current, AC Voltage, DC Current, DC Voltage, Light and more. Mix and match the above sensors, plus resistances, dc voltages, and contact closures. Readings may be displayed and logged in any unit of pressure by converting the sensor's scaling values. 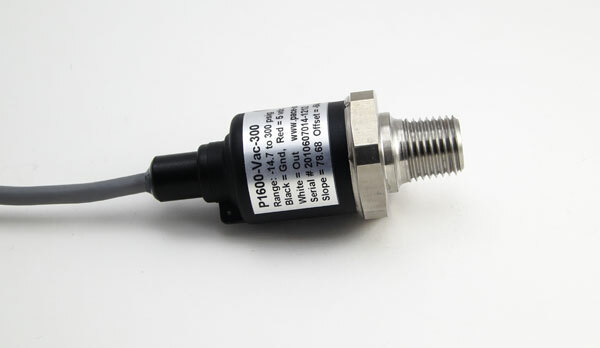 An online pressure converter is available for the XR440 Data Logger and for the XR5 Data Logger.